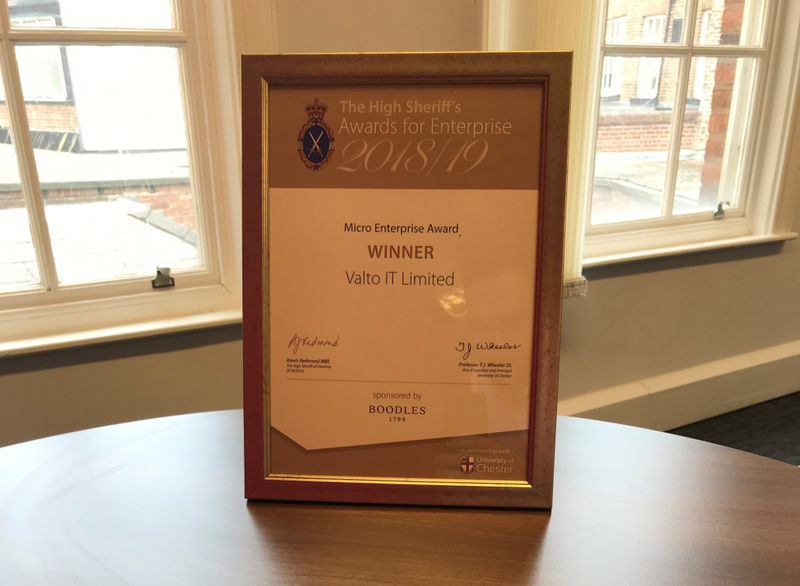 We’ve now become award-winning Valto, after being crowned Micro Business of the Year at the High Sheriff of Cheshire Enterprise Awards, with our award now taking pride of place in our office. 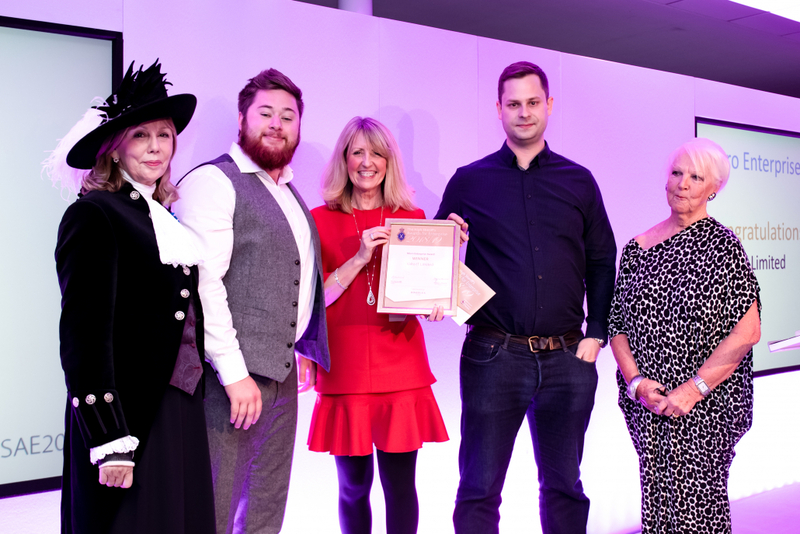 Beating off competition, which included a producer of tonic water syrups, a business magazine publisher and an aviation training provider, the Micro Business Award is aimed at recognising start-up and small businesses, with 4 or less employees, with the amazing work that they do. Formed in 2017 with the aim of providing the best technology and customer service compared to many other managed IT service providers in the market we’ve continued to grow in turnover, customers, partners and projects and 2019 is projected to see this growth continue as we aim to continue to provide the best managed IT services with the best customer service. Take a look at our video entry. Want to know what it’s like working with an awarding winning managed IT service provider? Get in touch with us today or call us on 03335 779 009.
https://valto.co.uk/wp-content/uploads/2019/04/MicroValto.jpg 2489 3733 Dan Felix /wp-content/uploads/2017/08/ValtoWebLog.png Dan Felix2019-04-09 13:40:242019-04-09 16:30:56Valto becomes an award-winning business!